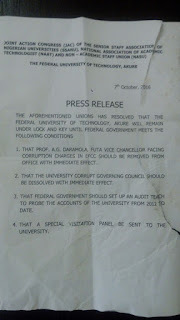 FUTA: ASUU is against anti-VC protest. 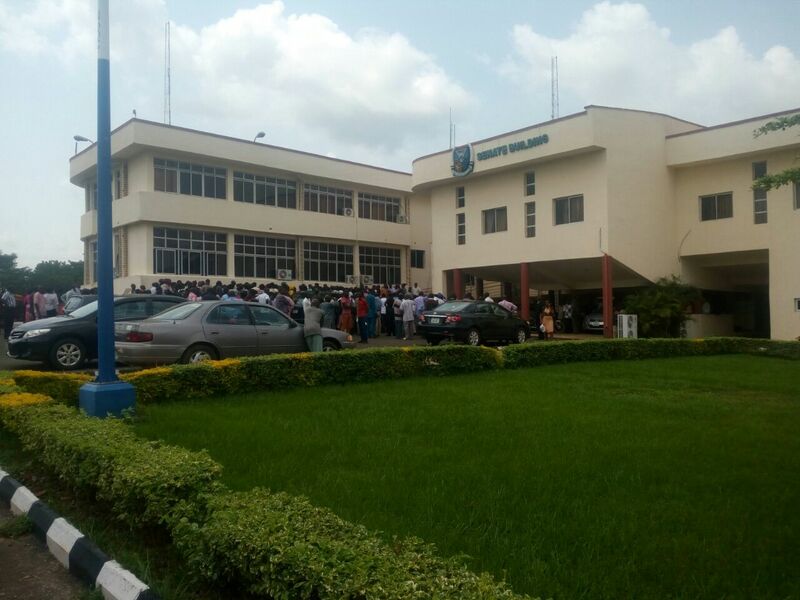 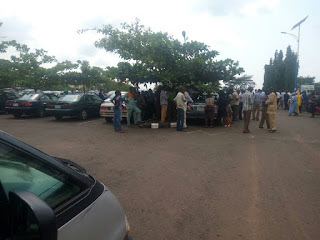 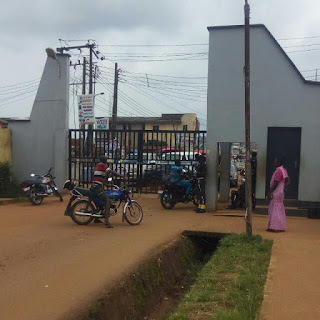 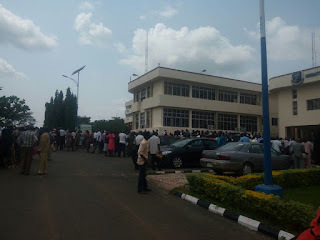 The Academic Staff Union of Universities (ASUU) in the Federal University of Technology, Akure, said they are not part of the protest by some labour unions of the institution on Thursday. JAC, a union of three labour unions in the university i.e the Non Academic Staff Union, the Senior Staff Association of Nigerian Universities and the National Association of Academic Technologists on Thursday, protested against the release of the Vice-Chancellor of FUTA, Prof. Adebiyi Daramola, by the Economic and Financial Crimes Commission. 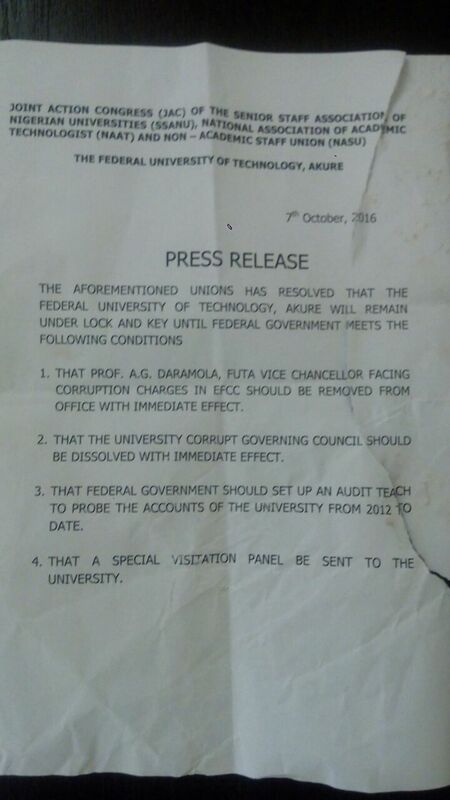 Last week, the Student Union Government of the institution described the call for the sacking of the VC as an attempt to destabilise the smooth academic system of the institution and the destiny of the students of the school. Protesters at the University Senate building.